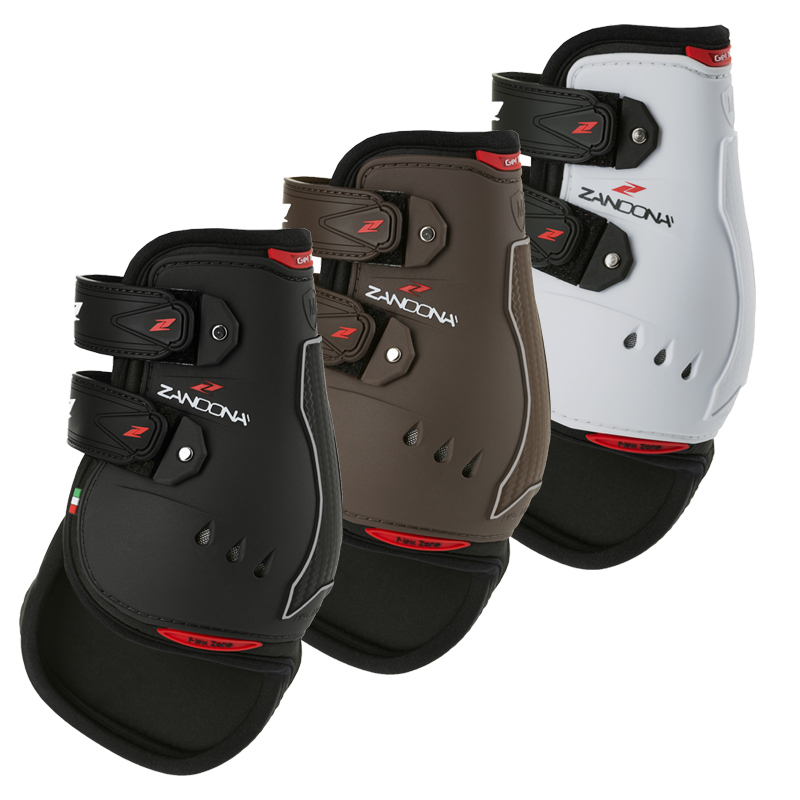 The Carbon Air Fetlock Active Fit Extra Protection Boots have plenty of protection on the strike pad and Extra Protection for horses that tend to hit their opposite pastern with their horseshoe. These boots have a layer of Gel, for support and comfort, a Carbon insert and a hard impact protective shell. They have three air vents to keep your horse's leg cool as they perform. The Neoprene support works as a shock absorber and the Velcro straps give a secure fastening. Being Italian design and manufactured, they are beautifully & ergonomically shaped to the limb to provide a perfect fit. Innovative, high quality design.